Helen Barnard is a Poverty Programme Manager at the Joseph Rowntree Foundation. She manages programmes of work focusing on poverty and ethnicity, destitution, education and an Anti-Poverty Strategy for the UK. Helen joined the Foundation in 2005 and has developed programmes on areas including child poverty and the labour market. Before joining the Foundation she worked at BMRB Social Research and Opinion Leader Research, carrying out research on topics including benefits, tax credits and tax, education, and housing. 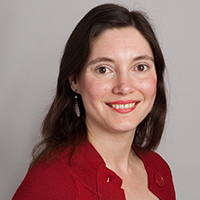 Helen studied Social and Political Sciences at Clare College, Cambridge University.